If I have rice leftover in the fridge, you can bet on fried rice being a thing. 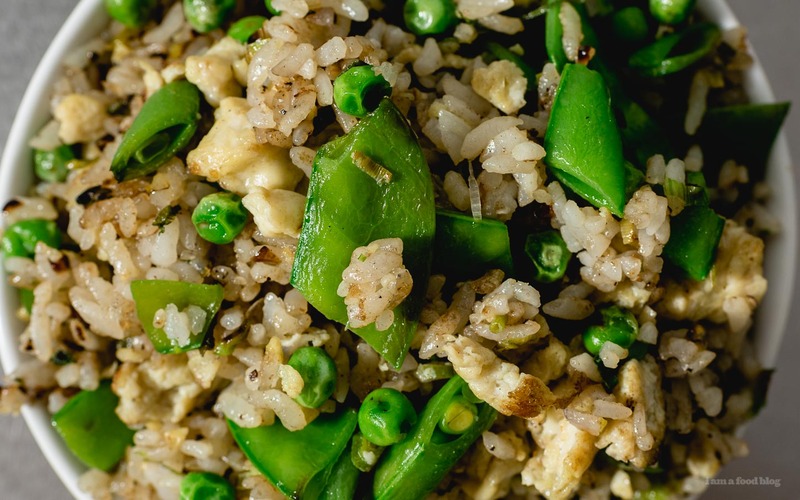 I love how fried rice can be a meal in itself (protein, carbs, and veggies all in one) and how infinitely customizable it can be. 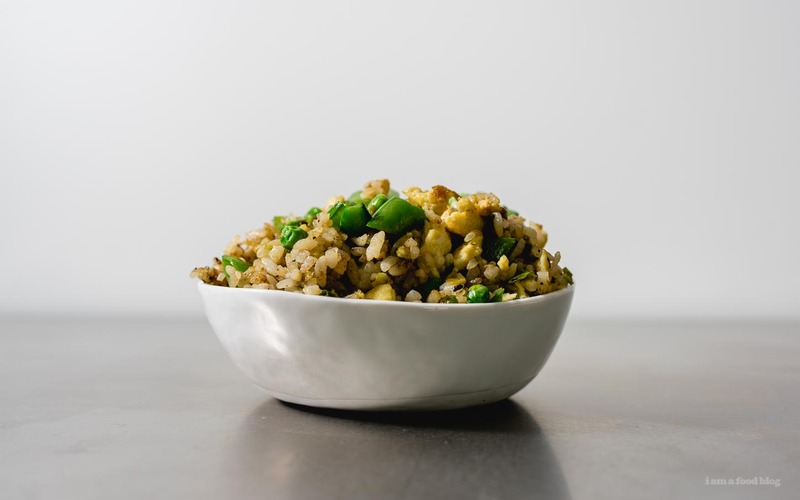 If you’re looking to make a great veggie fried rice, this is a great, basic recipe. Use whatever vegetables you have in your fridge, and if you’re a meat eater, throw that in too! 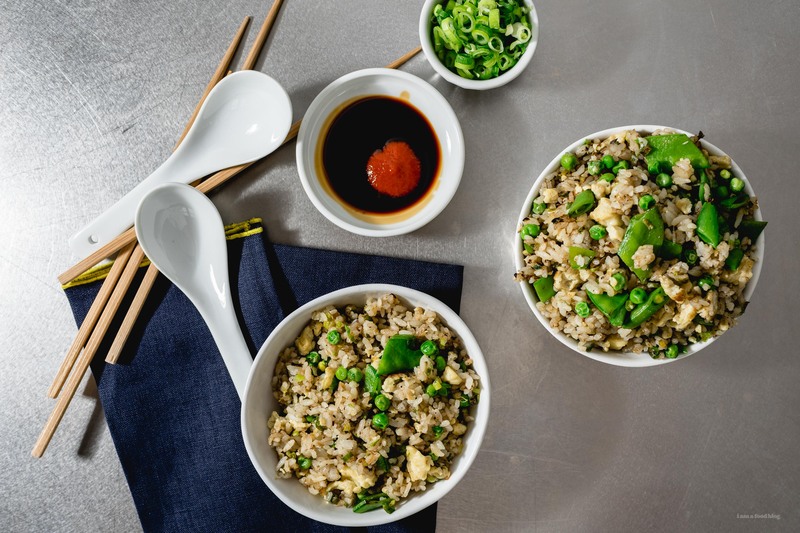 Here are a couple of tips for making the best fried rice you could ever possibly want to eat. Don’t be stingy – if you want restaurant quality fried rice, you’re gonna have to get a little oily. Hot oil helps everything not stick, distributes heat, and helps with distributing flavor. I like using grapeseed oil, but have been know to use leftover bacon fat too. Having said that, please don’t go overboard on oil, no one likes super oily fried rice. Heat up your wok/pan over very high heat and add a generous amount of oil. Crack your eggs right in and scramble in the pan, no extra dishes needed. Season with salt and cook until almost set, but still slightly runny. Remove from the wok or pan and set aside. Your wok/pan should still be slick with oil, but if it’s dry, add a bit more. Fry up the aromatics over medium-high, being sure to move them around. Concentrate on bringing out the flavor and not burning. Also, you don’t really want any caramelization or color on your aromatics, you want barely golden. 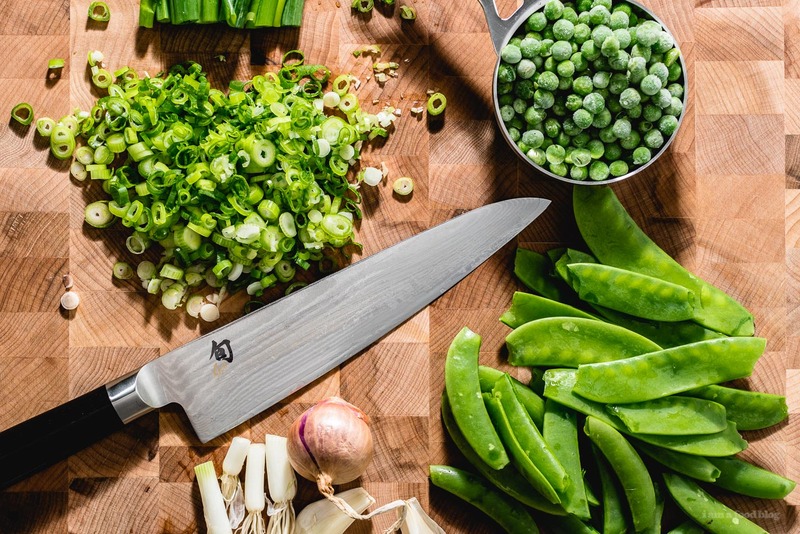 You can go ahead and add your proteins directly to the aromatics, the aromatics with flavor your protein and add a bit more oomph. Turn up the heat here to get some char and don’t forget to move it around to avoid burning! When everything’s looking cooked, remove from the pan and set aside. Toss in those veggies and give them a quick stir and fry over high heat. They don’t need long, just enough time to cook through. And then, you got it, remove from the pan and set aside. You’ll probably want to add some oil in at this point – your wok will most likely be dry. Add in a generous amount, turn the heat to high, and add in your broken up rice, tossing and frying over high heat, until slightly golden and crisp. A note on rice: use day old rice. Using fresh rice is a rookie mistake and a guaranteed way to a sad pile of mush. Instead, make some extra rice the night before and let it hang out in the fridge. For maximum chill, be sure to break the rice up before you add it to the wok. Just slightly wet your hands and gently squeeze the cold rice, breaking it up into loose individual kernels. 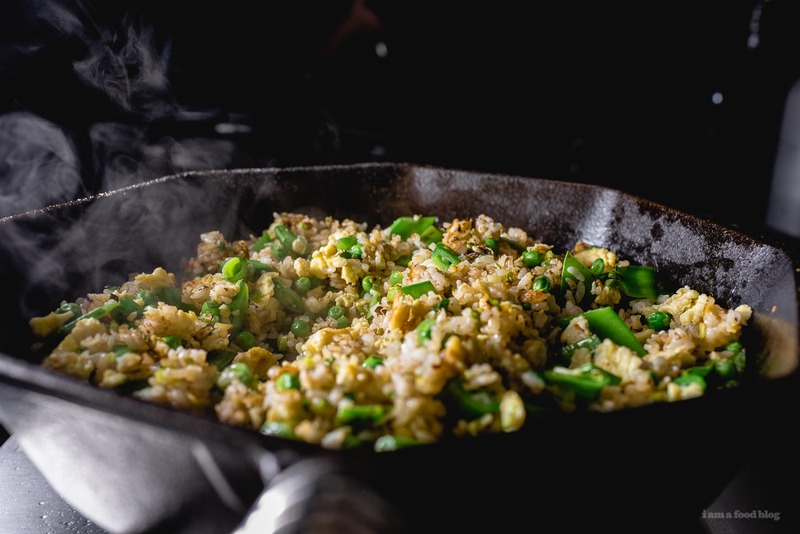 After the rice is crisp, add everything back into the wok, breaking up the eggs with your spatula and tossing to distribute everything evenly. Season with salt or a bit of your sauce of choice and add in any herbs your might be using. Enjoy immediately! There you have it. 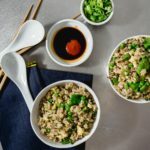 Each grain of rice should fluffy and distinct and each spoonful of rice should have a bit of everything in it for the perfect bite! 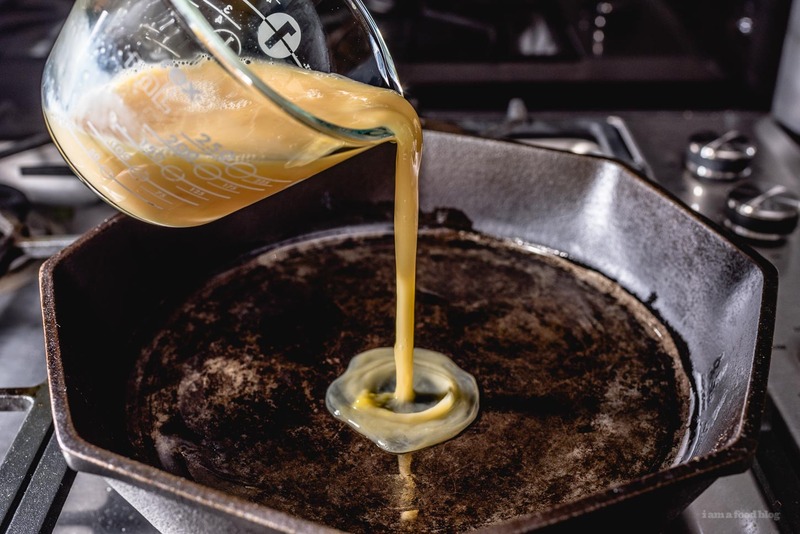 In a large skillet or wok, heat up a bit of oil over high heat and scramble your eggs until mostly set, but still slightly runny. The eggs will cook a bit more when you fry everything together at the end. Remove and set aside. If the skillet is dry, add a tiny bit more oil and then add the shallot and garlic, stirring until fragrant, but not brown, about 30 seconds to a minute. Add the snap peas and snow peas and cook, stirring, until bright green and crisp, 2 minutes max. Remove and set aside. Heat up a bit of oil if needed, then add the rice – if you’re using rice from the fridge, it’s best to break it up with slightly wet hands before putting in the pan. Fry, stirring occasionally until the rice is crispy and heated through. Add the eggs, snap peas, snow peas, regular peas, and green onions to the skillet and fry and mix until everything is evenly distributed. Taste and season with salt and pepper. Enjoy hot! It may not be traditional, but if you don’t have a wok, I recommend frying rice in a non-stick skillet as opposed to an uncoated frying pan. Most traditional woks (carbon steel or cast iron) end up being virtually non-stick from years of heat and oil. Non-stick means just enough oil, without sticking.